Dr. Jeremy Z Kieval, MD is a Doctor primarily located in Lexington, MA. He has 15 years of experience. His specialties include Ophthalmology. He speaks English. Dr. Kieval has received 3 awards. The overall average patient rating of Dr. Jeremy Z Kieval is Excellent. Dr. Jeremy Z Kieval has been rated by 19 patients. From those 19 patients 8 of those left a comment along with their rating. 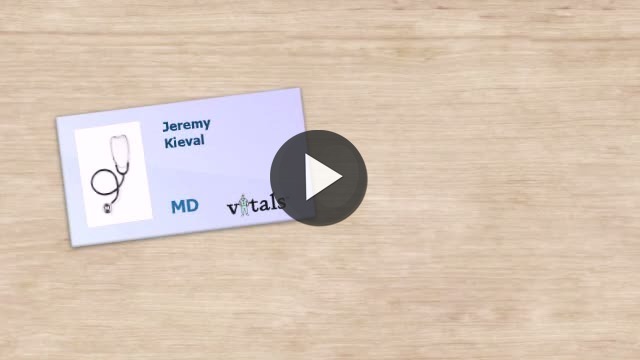 The overall rating for Dr. Jeremy Z Kieval is 4.7 of 5.0 stars. I cannot express how much I trust Dr. Kieval. He radiates caring and compassion with the knowledge required to make you feel safe. I am thrilled that he was my doctor. He took his time with me explaining ALL options to allow me to make and intelligent decision o going forward. You cannot find a better surgeon. This was my first time seeing Dr. Kieval after a friend told me to go and see him. I gave him 4 stars for everything, but I wish I could have given him double that for his bedside manner. Of all my doctors, he was the most genuine and caring. I had been going to Mass General for my eyes for years. I finally decided to try someone different and I went to Dr. Kieval. I can't believe what a difference! He solved my problem in minutes. When you find a jewel, you have to let people know. Dr. Kieval is a wonderful eye doctor. I have nothing but high praise for his professional ability and courtesy. I have the utmost confidence in his qualifications and trust his judgement. Take a minute to learn about Dr. Jeremy Z Kieval, MD - Ophthalmology in Lexington, MA, in this video. Dr. Jeremy Z Kieval is similar to the following 4 Doctors near Lexington, MA. Have you had a recent visit with Dr. Jeremy Z Kieval? Select a star to let us know how it was.